Code: \u201c Essential Collection - Any five<\/b>\u201c for \u00a310 off <\/b>when you buy 5. The chakras are the energy centres of the body. By aligning and harmonising these, huge shifts and deep healing can occur in all areas of life. The Heart Chakra is located near to our physical heart, in the middle of our chest. It governs love, compassion, freedom, boundaries, and empathy, the physical heart, circulation, thymus liver, and lungs. 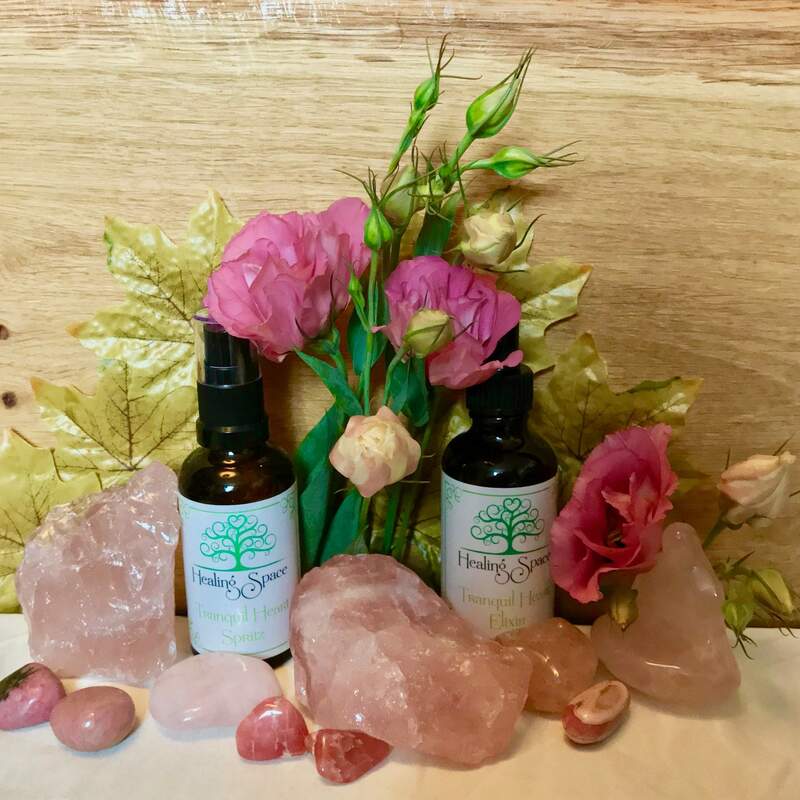 If these statements resonate with you, you may benefit from working with this essence as either a Spritz or an Elixir to bring in the desirable energies to the body, auric field, and your home or healing space. Select a Spritz to infuse your aura with the desired vibration, or to lift, bless, or cleanse a person or a space with the desired energy. Select an Elixir to imprint the vibration into your body, working more deeply to realign your energetic system and harmonise with the high vibration of the Elixir. 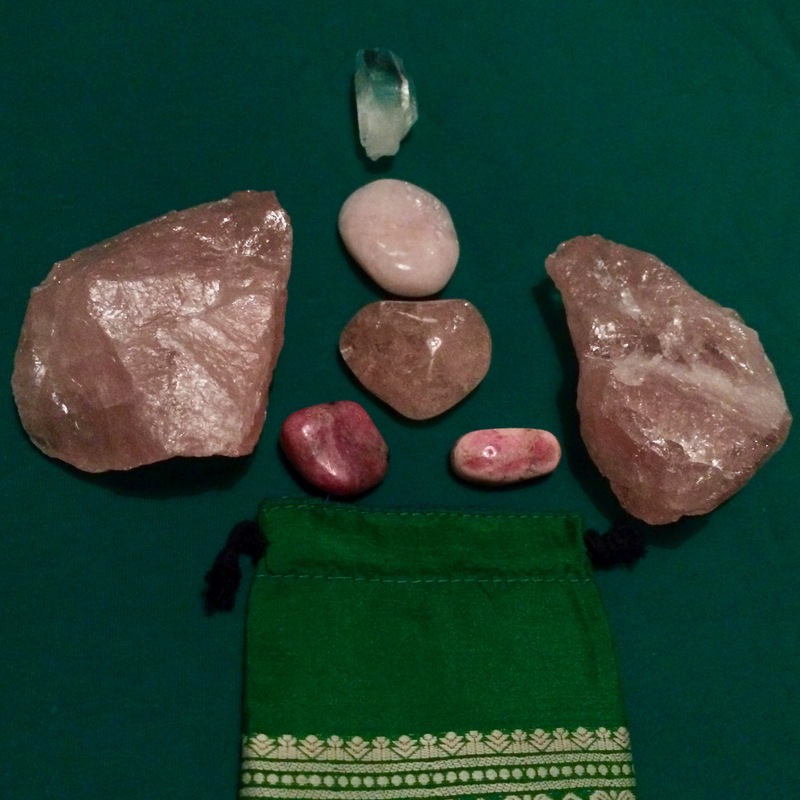 This essence holds the energy of vibrational essences of crystals of Kunzite, Hiddenite, Morganite, Rhodochrosite, Rhodonite, Rose Quartz, Quartz, which have been programmed with the highest vibrations and empowered in the light of the solstice sun and the full moon. It is aromatherapeutic, as it has been combined with Geranium hydrolat, & Rose Absolute (Damascena)*, along with alcohol to preserve the vibrations, and purified and infused water. Shake gently and spray around your aura, another person, or the room. A few sprays is enough, but you can use it intuitively. Do this anytime you would like support for the healing you intend, opening and harmonising to allow for your expansion, or a lift in spirits! Keep it in your handbag or apothecary, car, shelf, or workplace, just avoid direct sunlight for extended periods. Take a conscious breath as you use it, and set an intention for the healing you would like. Wear, or surround yourself with the colour of this chakra - green or pink! Carry, hold, or meditate with any crystals that are contained in the essence, or any crystal you have of the colour of the chakra you are working with. Put your hands on the area of the Chakra you are working with, breath deeply into the area, and imagine healing light pouring into the area and filling it up. Why not book a session to lie in the crystal web this was made from! Once this powerful realignment has taken place the Elixir and Spritz can maintain that energy and continue the healing. Get in touch if you are interested in arranging a healing session. To get the discounts, please add the Elixirs and Spritzs you want at full price, then use the codes below in your basket on the payment page (the last step) when you checkout. This will only be valid if you purchase the minimum number (3, 5, 7, or 13) for each discount code. Code: “ Trial Collection - Any three “ for £5 off when you buy 3. Code: “ Essential Collection - Any five“ for £10 off when you buy 5. Code: “ Personal Collection - Any seven “ for £!5 off when you buy 7. Code: “ Self-Mastery Collection - Any thirteen “ for £35 off when you buy 13.